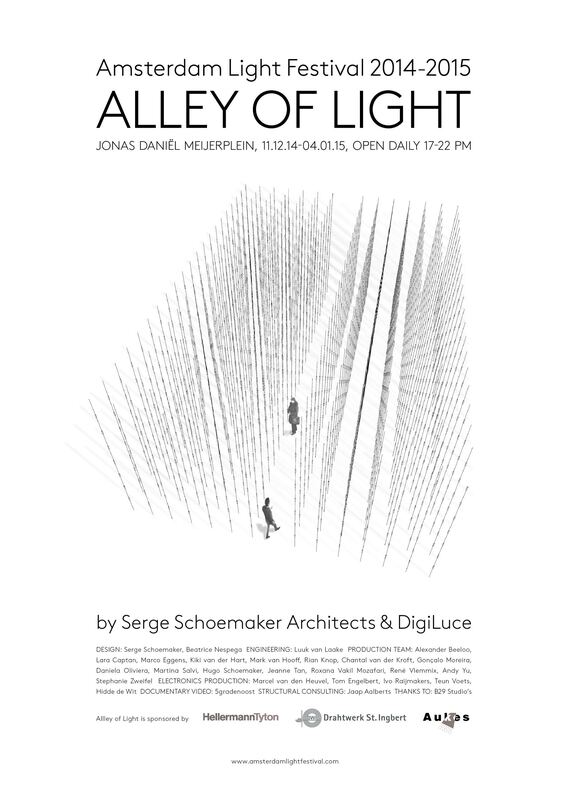 Alley of Light is a project by Serge Schoemaker Architects and Digiluce. Connecting art and science, a collaboration of a creative engineer and an architect, the result is an alley defined by light in stead of stone buildings. Almost 2000 hand-made lights form an impressive matrix that can be experienced both from outside, looking at the wave-inspired light animations, and from within, as a narrow alley between the lights allows you to enter. This is the Alley of Light. Digiluce worked with Studio Drift on Shylight from the first prototype. Shylight was commissioned by Rijksmuseum for the new Philips wing. In collaboration with DUS, Studio Drift and Rombout Frieling, Digiluce has won the international competition to create one of the largest interactive light installations in the world. The historic Chapel bridge, dating from 1333, is one of the most prominent tourist attractions in Switzerland. An international contest requested for a unique and inspiring lighting scheme that illuminates the bridge at night, while respecting the historical and rich cultural character of the city. 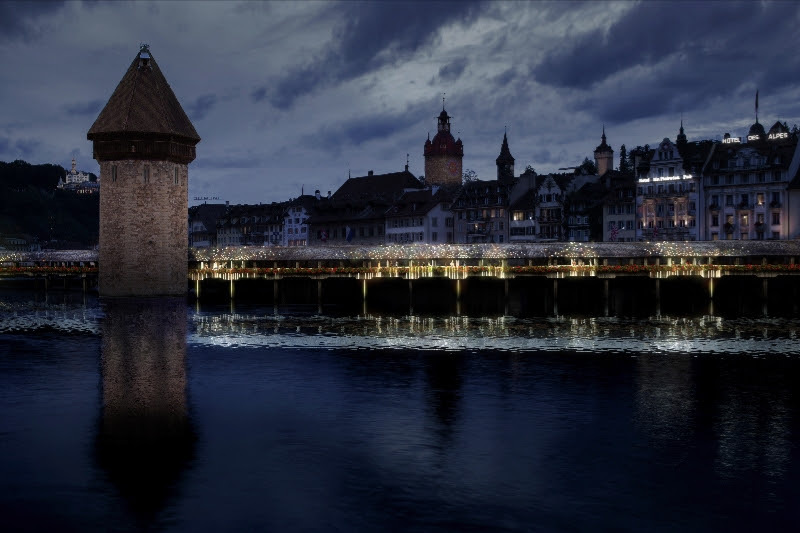 Digiluce is part of a team that was selected to propose a design for the 1000-year-old landmark bridge “Kapellbrücke” and connected “Wasserturm” in Luzern, Switzerland. The team was selected as one of nine teams from among 43 international entries and consists of Rombout Frieling, Studio DRIFT, DUS Architects, and Digiluce. 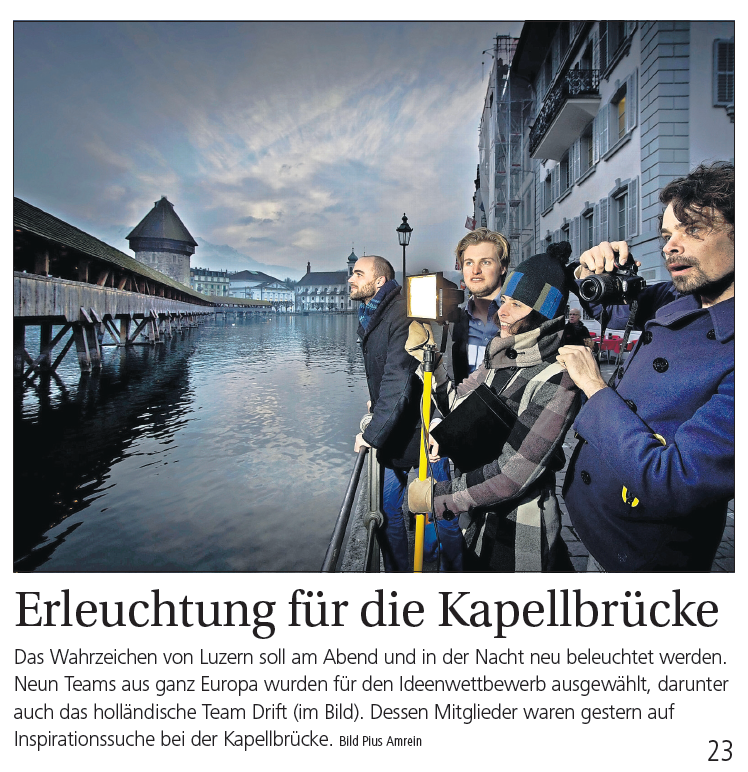 Swiss press interviewed and photographed our team during a visit to the site. Our competition entry “Alley of Light” has been selected for the 2014-2015 Amsterdam Light Festival. The international jury announced the selection of winning artists and their works to the press at the Mövenpick Hotel Amsterdam City Centre. 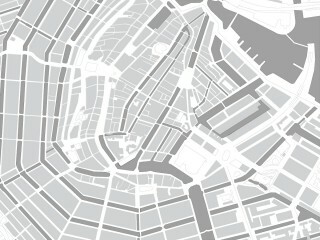 “Alley of Light” will be staged in the Amsterdam city centre December 11th, 2014 until January 18th, 2015. Design and development in collaboration with Serge Schoemaker Architects. 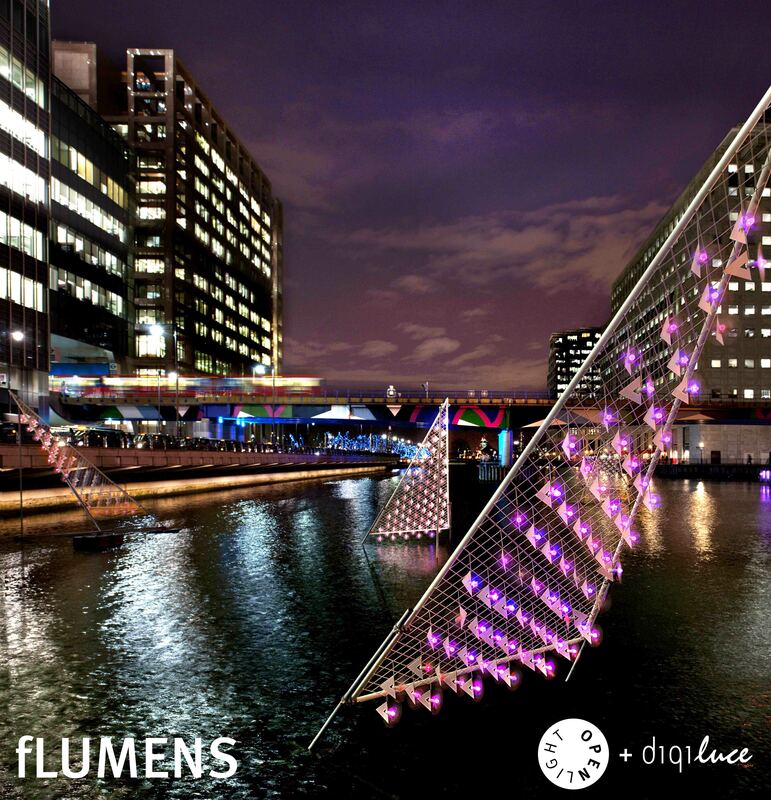 The curating team of the annual Winter Lights installation at Canary Wharf, London, has commissioned fLUMENS by digiluce and OPENLIGHT. 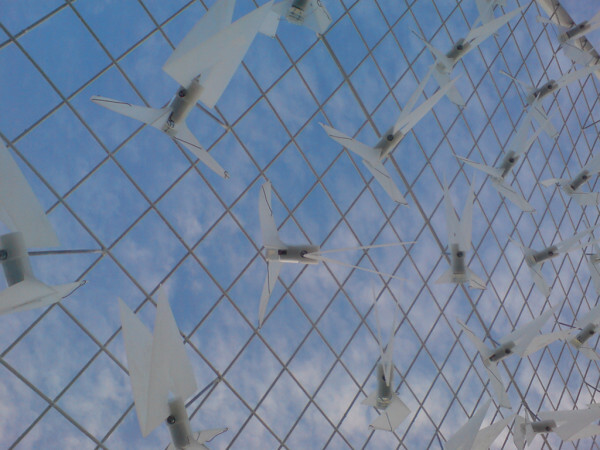 Winter Lights is a highlight in the award-winning public arts programme at Canary Wharf. It has recently featured work by Aether and Hemera (2012) and Daan Roosegaarde (2011). YUDO design developed SWOOF technology: a touchless interaction system for light fixture control. 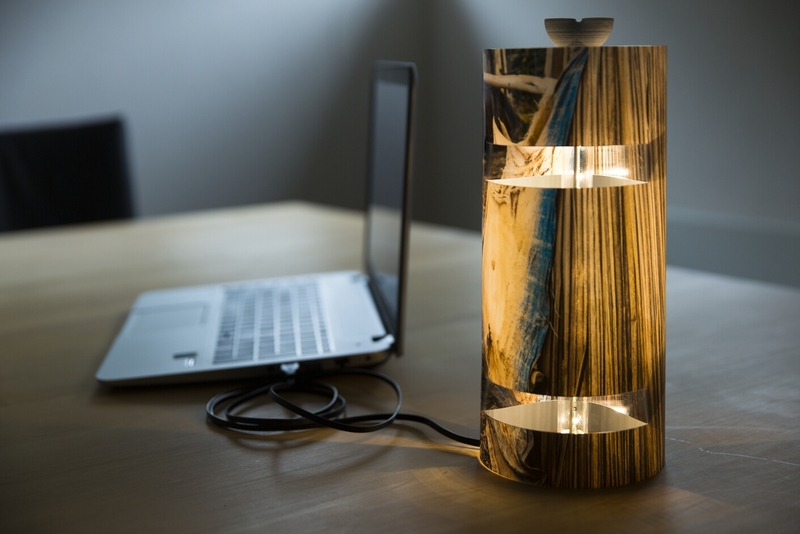 In their first table lamp, YUDO combines the technology with energy saving warm LED lights. 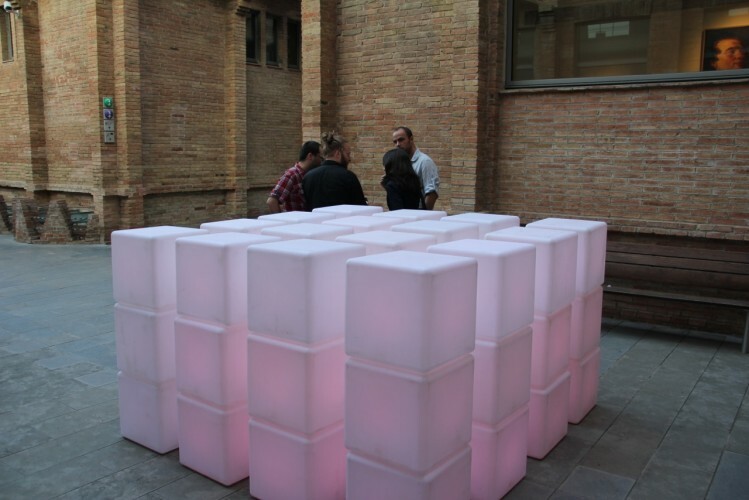 Pixels is an interactive sculpture by Jonas Vorwerk and Yoren Schriever. Digiluce helped specify Pixels 2.0 (PCB design and production by Frank van den Berg), intermediated in the commisioning of Pixels by KunstRAI 2012, and joined Jonas and Yoren in Barcelona for the Caixa Forum Exhibition. 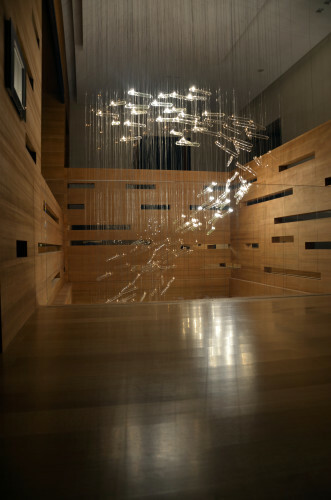 FLYLIGHT is an interactive light installation by Studio DRIFT, composed of on average 200 glass tubes. The glass tubes light up and respond to a viewer. Like schools of fish the birds fly as if they were a single entity, creating complex continually shifting patterns. The behavior is an example of “self-organization” where no one bird leads the group. Rather each individual is reacting to the speed and direction of the few birds immediately surrounding it. Amazingly two birds never collide.